I lot of speculation has been circulating about the future design for the 36th america’s cup. Now we know. It is brilliant. For some it will not be what they had hoped it would be; however this design incorporates the design progress made over the last events with a monohull. 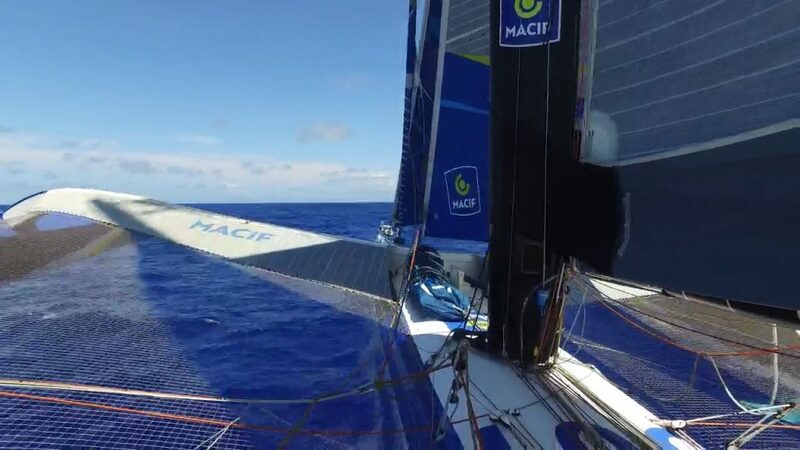 ANOTHER NOTE: Francois Gabart is holding a lead over the record around the world singlehanded. Setting a 24 hour record of 851 miles in the process. The edge every sailor wants is boat speed. It can disguise errors, it helps with execution of maneuvers. in short it can bail you out of suituations. 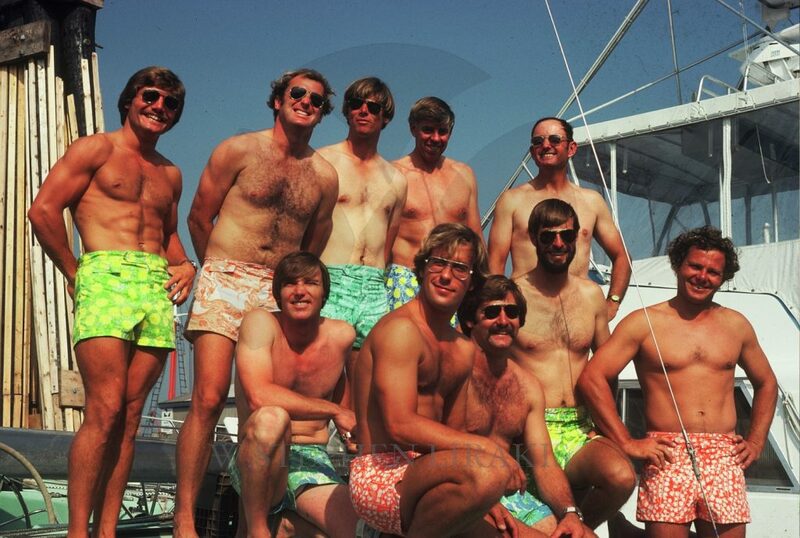 The New Zealand team had all the tools; a faster boat. and from a distance a team that had no egos. Everyone quietly did their jobs. If you look at the New Zealand crew’s resume, it was brilliant. By the way, Luna Rossa will be the Challenger of record. I am pleased that New Zealand won. The one problem for most of the world is the fact that they are in a distant time zone. The 2016 inductees to the America’s Cup Hall of Fame will be Mr. Ernesto Bertarelli, two-time winner of the Cup in 2003 and 2007 and runner up in 2010, and the late 4th Earl of Dunraven, Cup challenger in 1893 and 1895. The America’s Cup Hall of Fame was founded in 1992 as an arm of the Herreshoff Marine Museum (Bristol, RI) by Halsey Herreshoff, a four-time America’s Cup defender and grandson of legendary yacht designer Nathanael G. Herreshoff. Over eighty legends of the Cup have been inducted into the Hall. Candidates eligible for consideration include members of the crew, designers, builders, syndicate leaders, supporters, chroniclers, and other individuals of merit. Each nominee is judged on the basis of outstanding ability, international recognition, character, performance, and contributions to the sport. The members of the Selection Committee are persons intimate with the history and traditions of America’s Cup and committed to the integrity of the Hall of Fame. The 2016 America’s Cup Hall of Fame Induction Ceremony will take place in New York City on October 21 at the New York Yacht Club. Previous inductees here. As founder, owner, and crewmember of the first Cup boats from Switzerland, all named Alinghi, Bertarelli won the America’s Cup in Auckland, New Zealand in 2003, and defended it successfully in Valencia, Spain in 2007. In 2010 at Valencia, in the first Cup match between two multihulls, Alinghi’s winning streak came to end. Bertarelli sailed aboard his Cup yachts continuing the Cup tradition of owner-sailors that have included Harold Vanderbilt, T.O.M. Sopwith, and Ted Turner. Bertarelli competed in all the races in the 31st, 32nd, and 33rd America’s Cup matches in several roles, including navigator, afterguard member, backstay trimmer, and, in 2010, as helmsman. Bertarelli’s vision for the America’s Cup clearly broke boundaries. 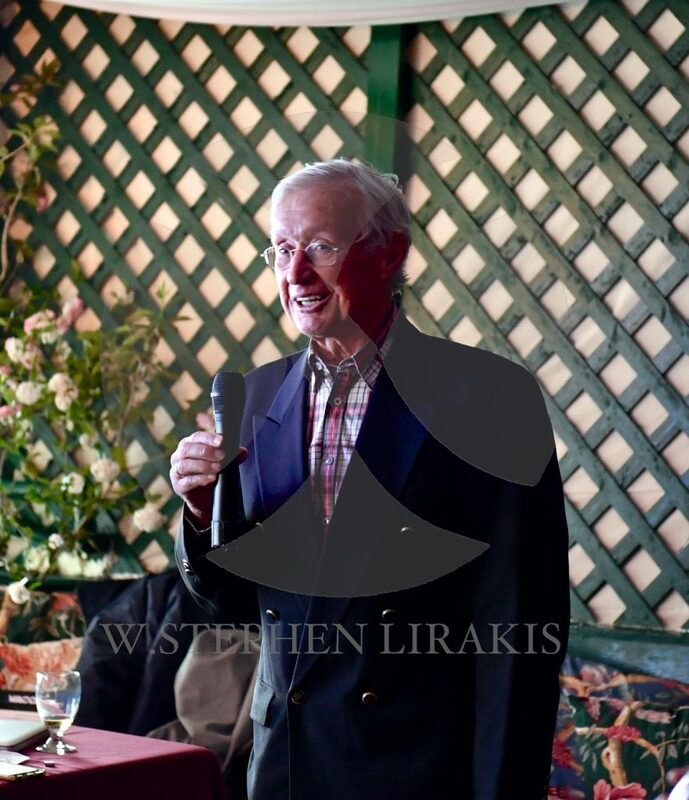 The first Cup winner from continental Europe, he took the Cup back to Europe and produced the 32nd America’s Cup in Valencia, which was among the most successful events in the competition’s post-war history. 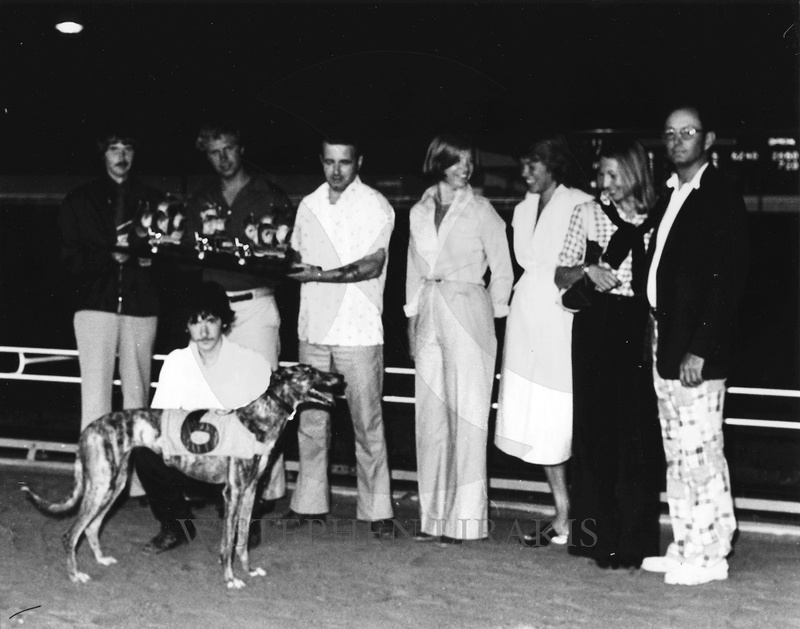 That event hosted more challengers than any other, Fremantle excepted. 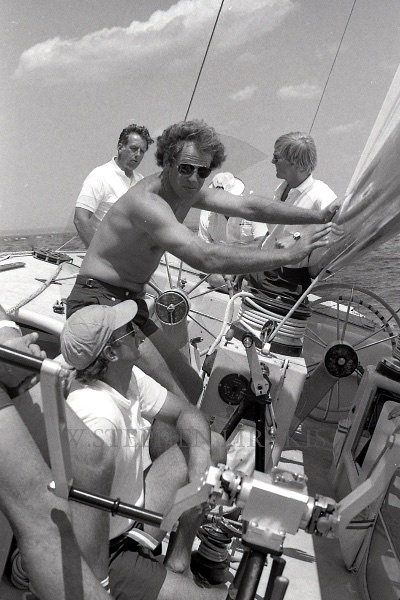 Bertarelli also organized the first Acts (now called the Louis Vuitton America’s Cup World Series), a series of regattas for the challengers and the defender which toured venues in Europe. Alongside his achievements in other highly competitive circuits, Ernesto Bertarelli shows a depth of ability to build talented teams and a remarkable determination to win. He has created a new winning tradition in Swiss sailing and has both inspired and invested in the next generation of his nation’s sailors. In 1893, Lord Dunraven challenged the Cup’s holder, the New York Yacht Club. During the negotiations over the conditions of the match, Dunraven achieved the concession to drop the Inside Course (a notorious course, riddled with shoals and strong currents, that favored the defender) from the menu of courses used up to that time for the Cup races. From that point on, only the Ocean Course, free from headlands, and largely free of shoals, was used for the races, benefitting all future challengers. For the match, Dunraven hired the brilliant George L. Watson to design his contender, Valkyrie II. 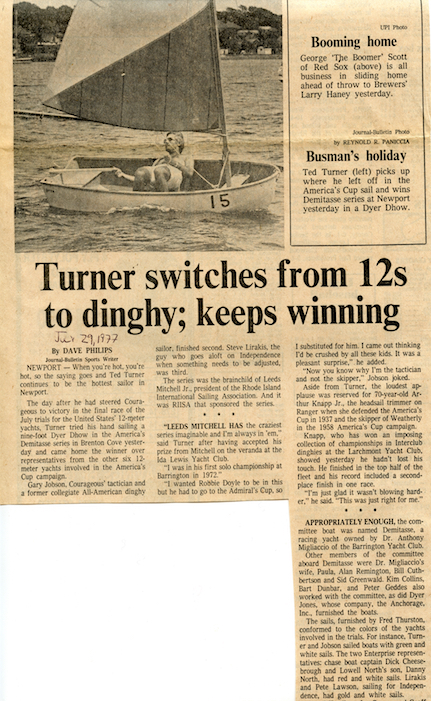 While she was out-sailed by the defending Vigilant, the first Herreshoff Cup defender, the races attracted vast crowds and increased the popularity of the Cup as a sporting spectacle. 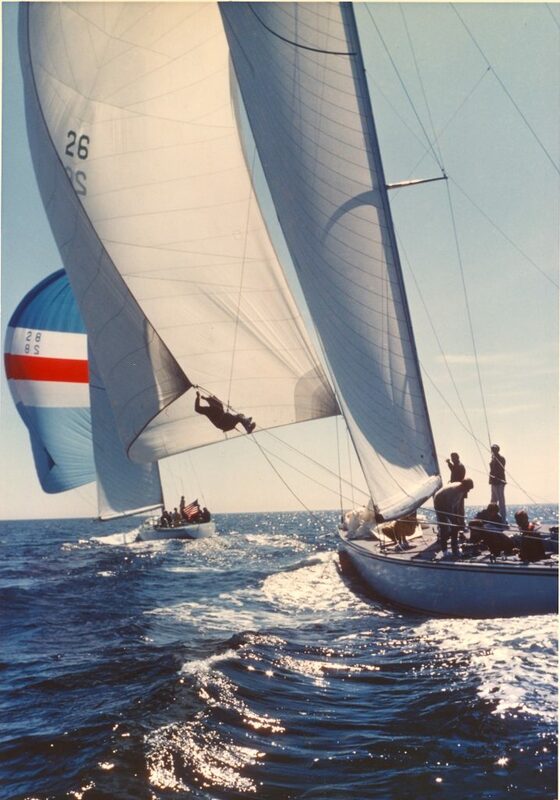 The last race in the series was one of the most exciting in America’s Cup history, with Vigilant trailing for many miles until finally overtaking Valkyrie II near the finish, winning by just 40 seconds on corrected time—the closest Cup race up to that time. Having caught “America’s Cup fever”, Dunraven returned in 1895 with the Watson-designed Valkyrie III, a pioneer of the modern challenger, which was better adapted to local racing conditions and more professionally managed than any previous challenger. But the race series descended into acrimony by misunderstandings and disagreements between the competitors. Dunraven was one of the leading yachtsmen of the late nineteenth and early twentieth centuries. His two campaigns for the Cup raised the level of Cup racing and were directly responsible for ushering in the Cup’s classic golden age from Sir Thomas Lipton’s challenges to those of T.O.M. Sopwith. 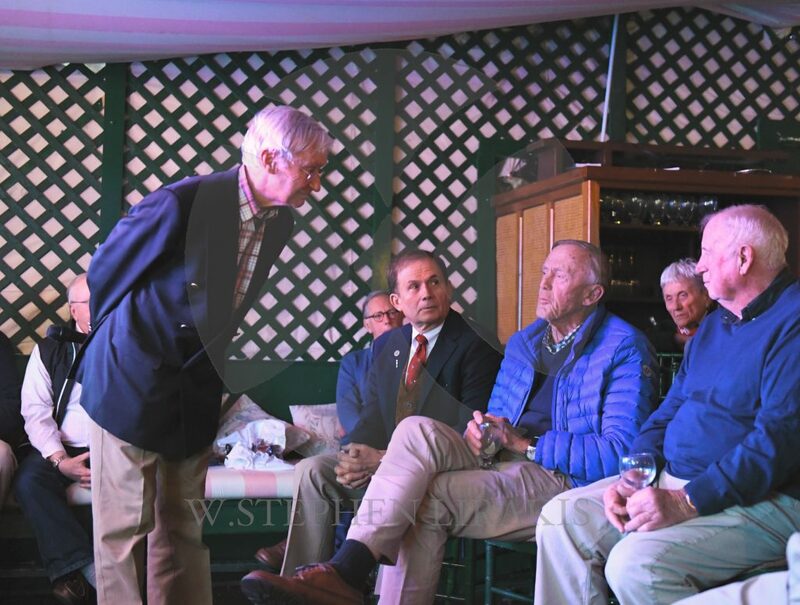 SUNDAY, AT THE 12 METER YACHT CLUB IN NEWPORT, RHODE ISLAND ORGANIZED BY DAN NERNEY WE WERE PRIVILEGED TO LISTEN TO JOOP SLOOF PRESENT HIS STORY OF THE KEEL ON “AUSTRALIA II” WHICH CHANGED THE HISTORY OF THE AMERICA’S CUP. JOOP SLOOF WAS AN AERODYNAMIC ENGINEER WHO HAD BEEN HIRED BY PIET VAN OOSSANEN WHO RAN THE DUTCH TOWING TANK IN WHICH THE TESTING WAS CONDUCTED FOR BEN LEXAN THE NAVAL ARCHITECT WHO DESIGNED AUSTRALIA II. JOOP PRESENTED A COMPELLING CASE THAT IN FACT HE WAS RESPONSIBLE FOR THE KEEL DESIGN USED ON “AUSTRALIA II”. THE AUDIENCE COMPRISED OF THOSE WHO LIVED THE EVENTS AND THOSE WHO WERE NOT EVEN BORN WHEN IT ALL TOOK PLACE. HALSEY HERRESHOFF, WHO HAD NAVIGATED “LIBERTY” AND ALSO A PHD IN AERODYNAMIC ENGINEERING WOULD HAVE HAD A SPECIAL PERSPECTIVE SUGGESTED WHEN ASKED. HALSEY SUGGESTED THAT THE KEEL SHAPE, IE. THE WINGS WOULD NOT HAVE MET THE CHAIN GIRTH MEASUREMENT REQUIREMENT OF THE TWELVE METER RULE. AS FAR AS I KNOW THIS WAS A SUBJECT THAT WAS NEVER PURSUED. 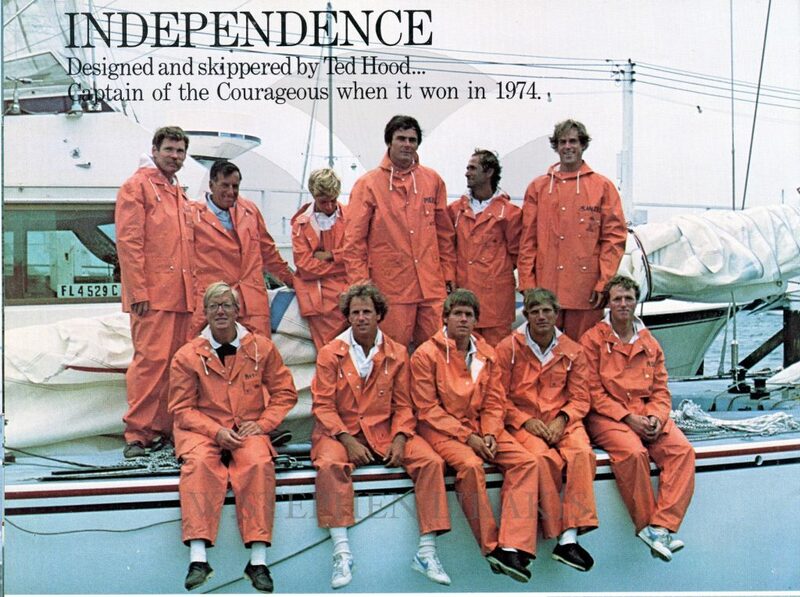 BARBARA LLOYD, WHO COVERED THE AMERICA’S CUP HAD INTERVIEWED JOOP SLOOF AT THE TIME AND WROTE A THROUGH STORY; AGAIN NEVER PURSUED. THE CONCLUSION OF THE STORY IS THE THE RIGHT THING HAPPENED TO HTE AMERICA’S CUP FOR THE WRONG REASONS. 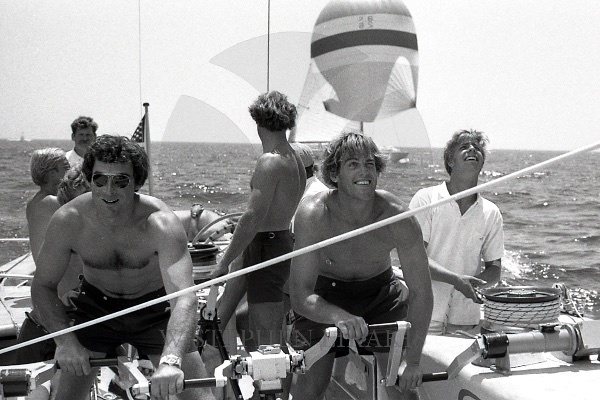 Australia II at Newport, Rhode Island, after winning the 1983 America’s Cup. 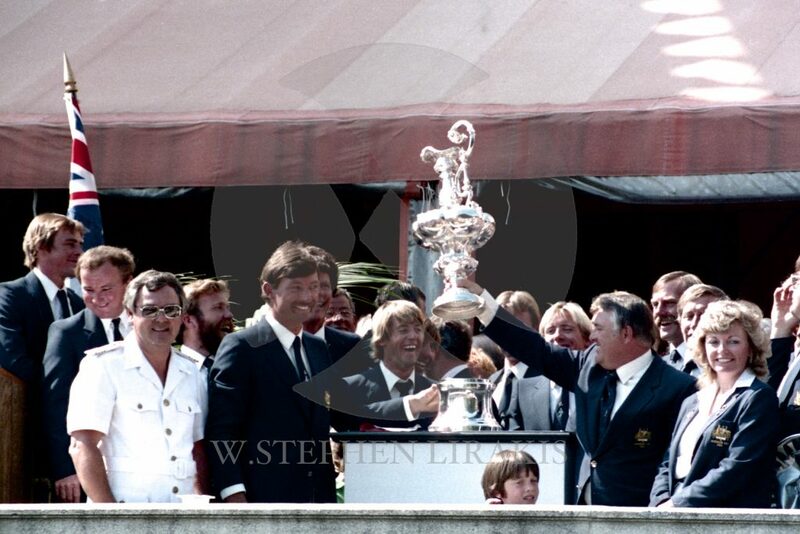 The longest winning streak in organised sporting history was broken on September 26, 1983, when Alan Bond’s Australia II broke the New York Yacht Club’s 132-year hold on the America’s Cup. The revolutionary winged-keel was the key and all credit was given to Ben Lexcen, an immensely congenial, self-taught Sydney yacht designer. That was what Australia believes. 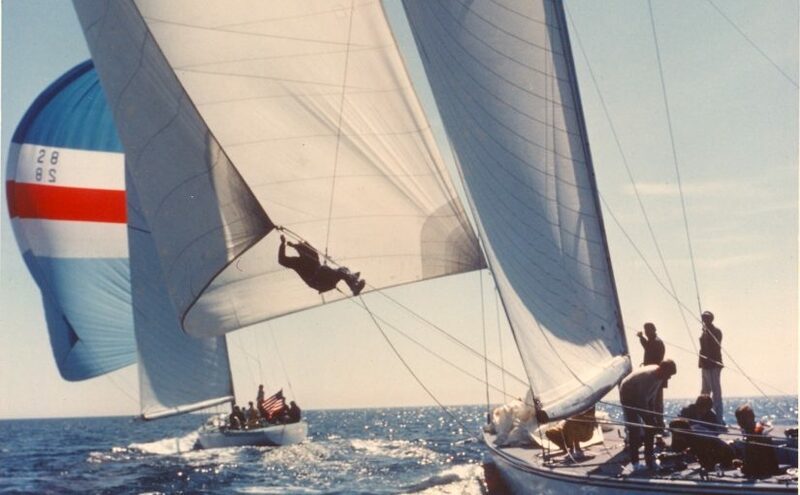 It was also what Bond had to convince the New York Yacht Club to believe because in 1983 it was against the America’s Cup rules to employ a designer who was not a national of the challenging club’s country. Suspicions were rife from the beginning that Lexcen was not the originator of the groundbreaking keel design. In 2009 Dutchman Piet van Oossanen claimed responsibility for the original design of the keel’s winglets and admitted accepting $25,000 in what he believed was hush money from Bond to keep the secret. Now his claim has to be qualified. The man who kept the secret of the keel’s origin longest and who has best claim to be its designer has now come completely out of the shadow. 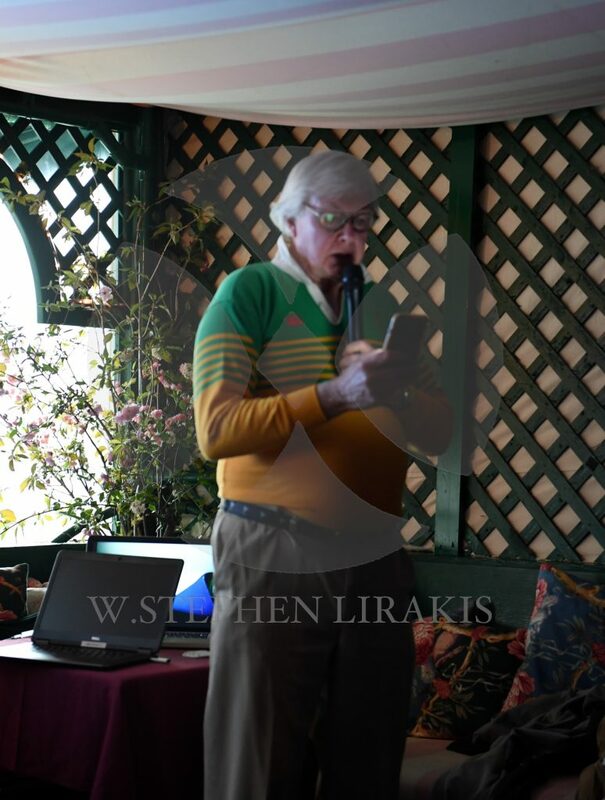 He is another Dutchman, Johannes “Joop” Slooff, a retired fluid dynamicist with a degree in aeronautical engineering, who has laid out his case in his book Australia II and the America’s Cup: The Untold, Inside Story of the Keel. The evidence he presents to support his role as the keel designer seems irrefutable. In 1981, Oossanen was the representative of The Netherlands Ship Model Basin, also known as MARIN (MAritime Research Institute of the Netherlands), contracted by Bond to conduct tank testing for the Cup challenge, and Slooff had been recruited by Oos­sanen from the Dutch National Aerospace Laboratory. 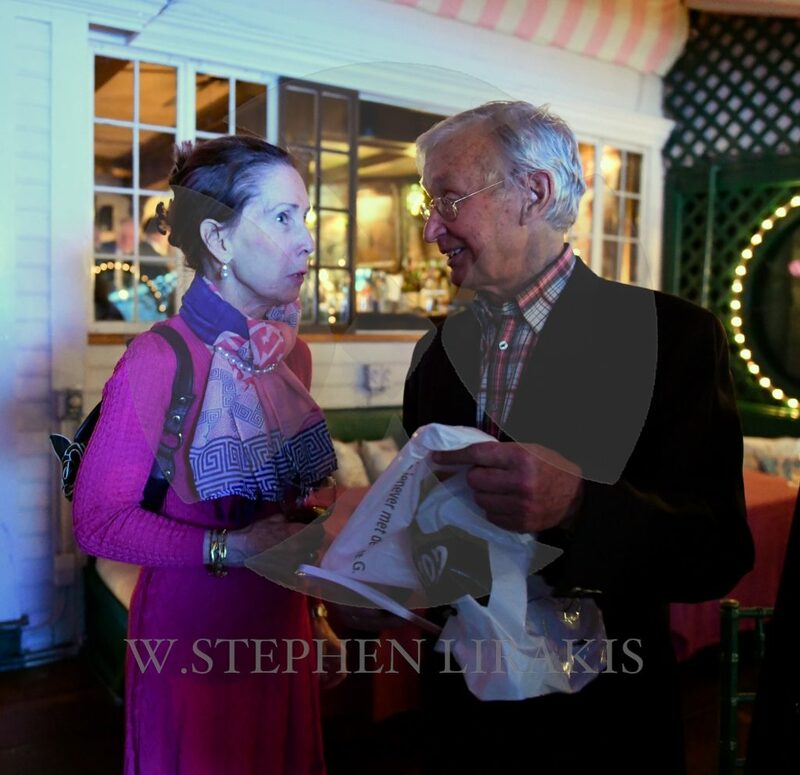 Slooff, whom I met with his wife, Lia, in Newport while covering the historic 1983 America’s Cup for The Australian, spoke with me from his home in Uithoorn after the release of his book this week. 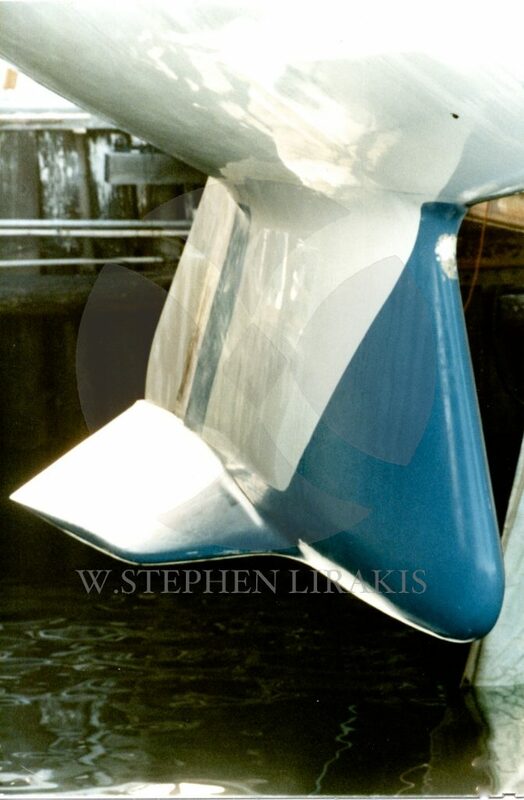 “Ben Lexcen wanted to test variations on a conventional keel when he came to Holland in May 1981 at the NSMB’s Wageningen test tank,” he told me. 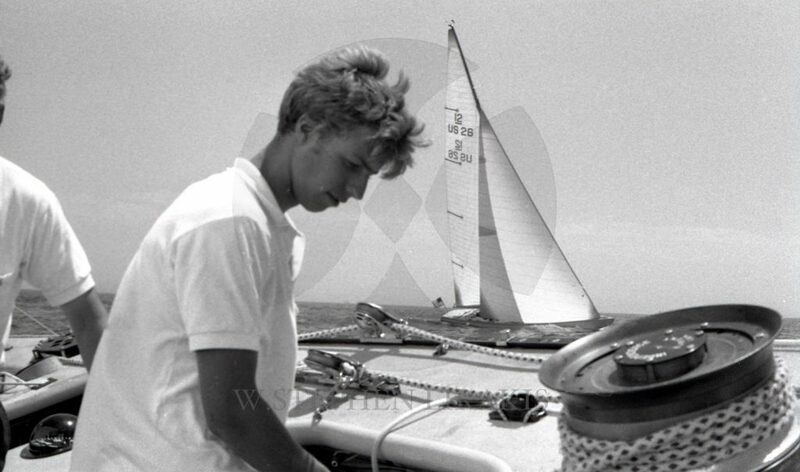 “He may not have been aware I had been asked to join Piet for the keel design when he arrived. 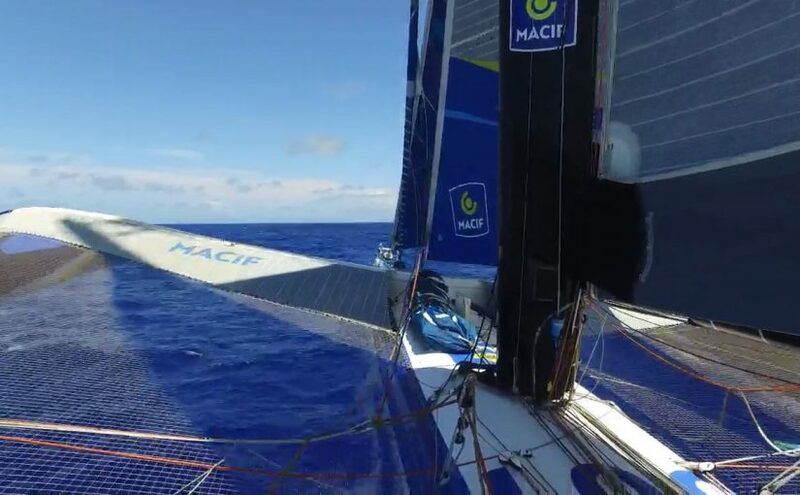 “He wanted to benchmark test the Australia model with a couple of other conventional types of keel with thicker sections that can accommodate more ballast. For those two or three weeks, Slooff had been talking with van Oossanen about the keel shapes to be investigated through fluid dynamic computations at his department at NLR. When Lexcen arrived, he put forward the proposal for the upside-down keel and the winglets, and included from his computations the relative dimensions, twist, taper, cant angle, section shapes and such. “I had been arguing for years that an upside-down keel should suffer less from loss of side force through free water surface effects than ordinary tapered keels. My department at NLR had done research on winglets for aircraft around 1979-1980 and I realised that they would also be very effective in reducing the resistance due to side force of a sailing yacht when sailing upwind,” he said. Slooff stresses that he and his co-worker Harm Sytsma had been studying the aerodynamic characteristics and performance improvement aspects of winglets for aircraft wings for the Fokker aircraft company. “I argued that they should also work on sailing yacht keels and, probably, even better, because of the smaller span and the associated larger drag-due-to-lift of a keel as compared to an aircraft wing. In other words, they could improve the performance of a sailing yacht through a reduction of the underwater resistance when sailing upwind. Well aware of Lexcen’s status as one of Australia’s greatest sporting heroes with a legendary status akin to that of Phar Lap and approaching that of Donald Bradman, Slooff stresses that “nothing of what I have said or written changes the fact that Ben Lexcen had full design responsibility and was free to adopt or reject whatever was proposed to him. Slooff says: “If he played with winglets in the 1960s, then why didn’t he put them on Southern Cross in 1974 and on Australia (I) in 1977 or 1980? And what about inverse taper (of the keel)? “With three of the main players — Lexcen, (Warren) Jones and Bond — no longer among us, I will probably never know the answers to these questions. There is no one left from that triumvirate at the innermost core of the victorious 1983 campaign to speak for Lexcen who died in 1988 from a heart attack, aged 52. Jones, executive director of Bond’s challenge and the tough no-nonsense end of the victorious 1983 campaign, died aged 65 after a massive stroke in 2002, and Bond died during heart surgery last June, aged 77. John Longley, the project manager, who also sailed aboard Australia II, said it was difficult to say who had been responsible for what part of the enterprise when so many people had been involved. I was aware Slooff had played an important role in the keel development when I met him, but when I asked Lexcen about Slooff’s role when we were together in Newport after the series had ended he was uncharacteristically evasive. “He’s a very friendly guy,” isn’t he, Lexcen said, and gave me one of his crew “boxing kangaroo” ties, which I still keep as a treasured memento of that Cup. 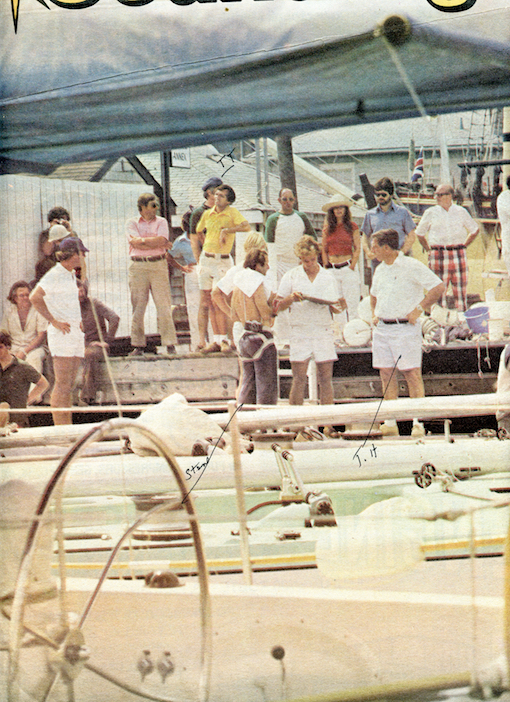 Australia II skipper John Bertrand, now president of Swimming Australia and busily preparing his charges for the Olympic trials, visited the test tank in The Netherlands with Bond and Jones on a lay day during the 1981 Admiral’s Cup series where he was racing Bond’s Apollo V with many of the sailors who would crew Australia II. He says only someone of Lexcen’s eclectic mindset could have brought the whole boat together successfully. Bertrand recalls Bond and Jones were at war with the New York Yacht Club which was constantly trying to nail them on the rules. “They even wanted us to stop using Microsoft Windows because the software wasn’t created in Australia,” he said, citing a challenge that was quickly dismissed. Bertrand also pointed out that the rule that barred competitors from using designers from countries other than their own has now gone — but that even in 1983 was constantly being bent with yet another Dutchman, Johan Valentijn, adopting Australian citizenship to work on Bond’s 1977 challenger Australia, taking up French citizenship to design for the French in 1980 before pledging allegiance to the US and signing up with Dennis Conner for 1983. But how can we ever know, says Hardy, musing on the elements that combined to bring about historic victory, how can we ever know exactly which piece of coal makes the whistle blow?